Welcome home Jets. It's been a while has it not? The Winnipeg Jets return to shake the dust off the MTS Centre tonight as they host the Florida Panthers in only their fifth game on home ice this season. So far, the Jets are sporting a 2-2-0 record at home, with wins over Pittsburgh (2-1) and Carolina (5-3), while dropping decisions to Montreal (5-1) and the New York Rangers (2-1). 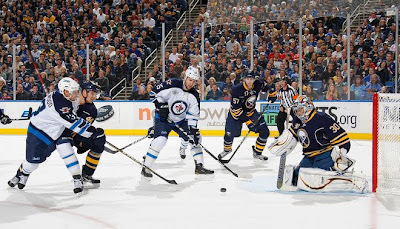 Two days after a crashing end to a mildly successful 3-2-2 two week road swing in Buffalo, the Jets are now 5-7-2 on the season and are looking to climb the standings now with some home cooking. Of the nine games remaining in November, five of them are at the MTS Centre. And of those nine, five are against divisional opponents. The Jets most decidedly have the ball in their court, as it were, with the majority of games coming at home against their divisional opponents. Let's hope the Jets make the most of things. 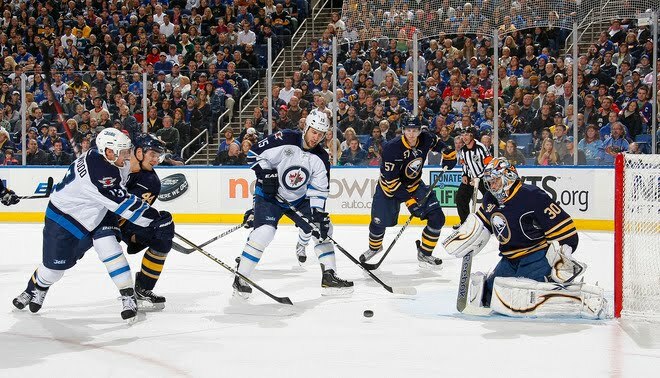 With the return of Mark Stuart, the Jets blueline was bolstered towards the end of the road trip. But no one is in a hurry to rush back either Randy Jones or Ron Hainsey with the emergence of Mark Flood on the back end. In four games after the call up from St. John's, Flood has two goals and one assist. Not shabby for a defenseman who will play his first game on MTS Centre ice in an NHL uniform rather than an AHL uniform. The Panthers, meanwhile, are coming off a 5-1 thrashing of the Toronto Maple Leafs on Tuesday. Florida has managed to grab points in its last five games, going 2-0-3 in those five games, including a 4-3 shootout loss to the Jets. Three of the losses for the Panthers in the last five games have come courtesy the shootout. Ondrej Pavelec is expected to start his eighth straight game after starting all seven on the road swing. Game time is 7:30 PM CT and is available on TSN Jets.